So after a tough week and a disappointing business meeting … I’m gonna take a bit of my own advice in order to turn a corner. I’m gonna have to open up that Blessed Project to change perspective. And so … here I am reigning in my disappointment with chocolate and thinking about this Bucket List fail that just happened to me. Trying not to think about it and learn the lesson, actually, which is a little difficult during the chocolate-eating stages. But even though my Bucket List Adventure didn’t pan out, thinking about my son’s brings a sense of pride and warmth to my heart and a smile to my face. Remembering that he got a chance to do something big, helps this defeat. Looking at pictures and watching video helps me focus on something positive. You see this one is every sports enthusiast dream. This one fell under the highlight reel… and it ended up being a great outing. You see, I’ve mentioned this before, but just in case you’ve missed it … This is a House of Sports! We enjoy playing and watching them. And when the Olympics comes every four years … forget about it! All day every day. I guess it stems from the time I towered at 5-foot-3, tallest Guatemalan in the houuuuuse, and I swore I was a baller who was gonna make it big time. Showtime at The Forum. However injuries and reality being what they are and all … my balloon deflated and that never came to pass. However my son … he made it. Guatemalan Wayne Gretzky got a chance to skate at The Staples Center during a L.A. Kings game and everyone was flipping out. Getting there early to check in our bags, watching the players warm-up, seeing my son walk down the tunnel and hit the ice, seeing him takes his first steps and then find his groove, all of that made everyone’s Bucket List. I felt so happy that he was able to get this opportunity and even more proud that he didn’t waste it. He appreciated all the pregame routines and when he got on the ice … he went for it. While some kids didn’t even get a chance to touch the puck, my son went all out. Clear eyes, full hearts. Then by the hair on the chinny-chin-chin the goalie narrowly blocked that shot. My son put his hands up in the air, he couldn’t believe it. I smiled and gave him a thumbs up. Even though the puck didn’t find the back of the net, watching that move, seeing him go all out made my day, week, month. That right there … that was a bottle-me-up memory which I uncorked today. Sandbox List Adventures working it’s magic. It brought a smile to my face, when I felt disappointment, warmed my heart when it was feeling cold, made me smile when I was sad, and changed my perspective when I needed to find a new one. Guatemalan Wayne Gretzky to the rescue on a Friday night. Sometimes they’re so hard to find, especially when it’s something so important and so meaningful. You want to find the right ones. 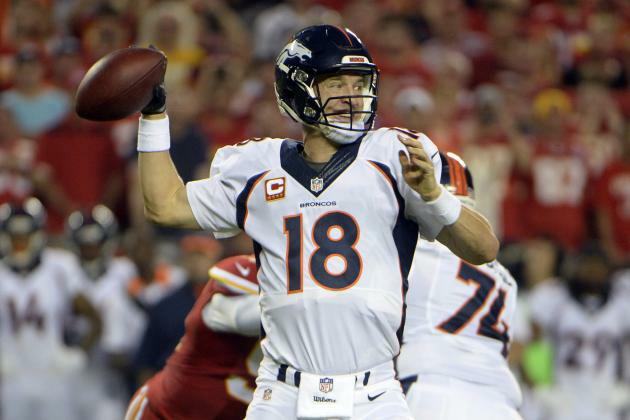 Today Peyton Manning had the right ones and sometimes that’s all it takes … the right words. Sometimes you don’t even have to do anything to prove your point. Sometimes the words have so much substance that they hit your gut and people listening to you feel what you feel. As a writer these are the emotions that I hope people feel when they read my stuff. But as I heard Peyton talking, he was speaking to millions of people but I think what he really wanted to do was to connect with the players, coaches, family, friends and fans that supported him. He wanted to express gratitude for the opportunity given to him, to the places that said, yeah I’ll take a chance on you, and to the people who said, yeah I believe in you. And they wanted to pay tribute to him and his extraordinary career. I saw one of my favorite football players of all time retire today. Peyton Manning stood at the podium and delivered one of the best speeches I’ve heard. “There’s a scripture reading, 2 Timothy 4:7: I have fought the good fight and I have finished the race. I have kept the faith. After hearing his speech I picked up on a few good nuggets that struck a chord, but the thing that really stood out was that he said he’d missed the little things the most. The huddles. The handshakes. The steak dinners. The plane ride home with his teammates celebrating. Figuring out blitzes. Putting in a play. Talking football with broadcast crews. Handshakes on the filed after the game. So many little things that added up to this amazing highlight reel of football life. And then that’s when it hit me… Everybody should have a highlight reel. Everybody deserves to know that all the parts of their life, big and small, mattered not just to them but to the people who love them. I realized my son and daughter don’t have highlight reels. We’ve got plenty of pictures that capture the most awesomely amazing moments, but no highlight reels yet. 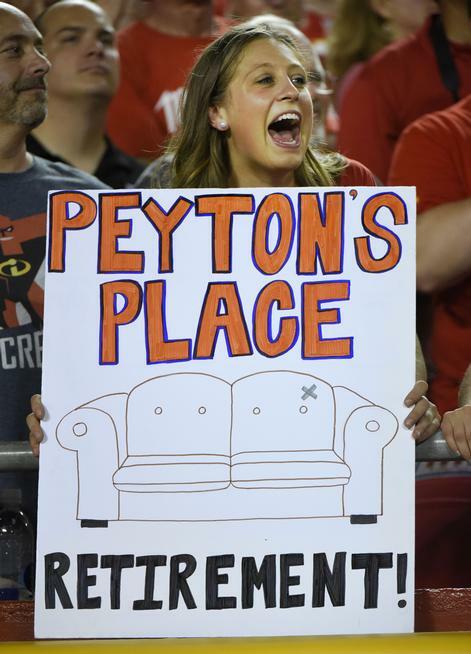 So as Peyton retires he inspires. I start a new chapter in parenthood and I’m on a mission to share their yearly Guat Adventures through highlight reel films. I’m not a computer genius, so this may take a while and you’re gonna have to wish me luck. But the words … the words I’ve got covered. Hope you guys have your own highlight reels. I was recently reminded not to be a jackass, which tends to be important when you’re a parent. You’re gonna have these moments … however your mission in life is trying to minimize them. As a person or parent, this should be a great guideline. And there I was on the tip of it, about to cross into jackass territory when my internal dialogue checked me. It wasn’t a scolding, you shouldn’t do this, watch your tone voice. It was a story. I had heard a story and it stuck with me. I had archived it. Didn’t know when I would need it, but thought it was important enough that I needed to keep it close. Being a sports fan and growing up as an athlete I figured it was just as powerful a lesson as Rudy, Hoosiers, or The Natural. There I was on the soccer field watching my son and his Bad News Bears team trying to get the ball down the field. Just trying to get it to the other side. Now they’ve had difficulty doing this for the past few games as a number of members tend to kick it out of bounds. Now seeing how my son is usually assigned the role of defender he never really gets a chance to lead the charge. I guess his ability to check people and clear the ball served the team better as a defender, closer to the goal. So when he got the opportunity to kick the ball out of the box and down field, I thought he’d be eager and quick to blast it. But as they placed the ball in front of him, he turned trying to find an open teammate. Everyone appeared to be covered and it hadn’t dawned on them to try and move around or closer to my son. Then I heard my voice. Kick it! Just kick it! Then I heard a few others saying … Hurry, kick it! But after a few more seconds which seemed to feel like forever, he finally passed it down field to his teammate. This happened three times in one period. It was a high school football game and two Dads were in the stands watching their kids play the game. One of the players, John, was an all-star offensive player, always getting an opportunity to get his hands on the ball and gain first downs or score touchdowns. The other, George, was a defensive player who never really handled the ball, until that night. George’s Dad didn’t see what everyone else saw. George’s Dad was beaming with pride as he saw the best offensive move his son had made to date. So when my son came in smiling, I handed him his Batman water bottle and told him those three kicks were awesome. Maybe he’d get a chance in the next game to kick four. The danger of being a jackass … avoided. For me it’s reaching the top of Devil’s Canyon without stopping … or falling … or passing out … that’s when it happens. The gruesome uphill battle that begs for BenGay and Advil the next day. Yeah … That’s probably what kept me going. This was him … the dude everyone was happy to see. And it happened most when I finally reached the finish line … I saw that red, blue, and yellow banner, and the clock ticking, so I sprinted to reach the end. I knew what was waiting for me … Yes there were high-fives and smiles and the awesome finisher medal that I wore all day but that was not it … It was the watermelon. The finish line watermelon. It’s the juiciest, sweetest, best-tasting reward on Earth. Nothing like it … Finish-line watermelon. I looked forward to it for miles. It made me feel Gatorade-worthy. All these moments … these were highlights that kept me going, these were the simple rewards that made me feel amazingly Guatacular all day. I bottle that stuff up and live off of that badass feeling for at least a week. And even though I was proud of myself for surviving Devil’s Canyon and thriving under the heat I was even prouder of my son. For the second time in his five-year old existence he successfully completed the Tiny Tot Triathlon. It was an easy and smooth transition. He remained serious despite my enthusiastic cheering. And just as I had my Gatorade-worthy moments and rewards he had his own. Jumping into the pool and being able to swim without me was something that both of us were ecstatic about. Doggy-paddling his way to the finish. However crossing the finish line and outrunning the two older kids in the green division was something he was high-fiving me about all day. But I’m sad to say that the one reward he wanted that day for this awesome accomplishment didn’t quite happen and it almost ruined that amazing feeling — that emotional high that makes you feel great all day — that juice. Wendy’s … yeah I said it … it was Wendy’s and you almost killed it. I don’t know Dave Thomas, but I’m sure he would have been so disappointed. My son has never had a Happy Meal. Never ventured into the Golden Arches … we’ve always been an In-and-Out kind of family. So when he finally asked for one it wasn’t the McDonald’s Happy Meal … it was the Wendy’s Kids Meal. That’s what he wanted … that was the reward he was looking forward to at the end of his race. He’d been dreaming of that DC Comics Swooping Superman Glider and the Super Hero Training Comic Book that came with the meal. That was it. That was his “Finish-line watermelon”. He’d seen the commercial for weeks and decided that that would be his prize. He was so excited that he decided we should order a kid’s meal for his sister too, just so she could get Wonder Woman’s invisible jet and they could form the mini Justice League. I mean he has superhero action figures here, they both do, but these were Kids Meal DC Comic Superhero prizes and they were way better … they were “finish-line watermelon” so I agreed. So we drove twenty minutes out of our way to find the nearest Wendy’s because apparently there was no Wendy’s near the race. He walked in wearing his medal, smiling the toothless kindergartener smile, and walked up to the register and ordered a kid’s meal … the one with the superheroes in it. And then that’s when it happened. The guy behind the counter just looked at me and shook his head. He had conquered the football field run, raced through the ginormous parking lot on two wheels, kicked and splashed his way past older kids, and sprinted to the finish line. He’d finished. He’d accomplished something big and had a medal to prove it. And we had driven … and driven … and driven in unknown neighborhoods misguided by our outdated Garmin GPS that didn’t even have the freeway we were driving on listed. But we drove and eventually got there ready to get that finish-line kids meal. And they didn’t have it. The look on my son’s face … Disaster. I felt bad. His sister felt bad. The guy behind the counter felt bad. My son assured him that they did have it. This was Wendy’s. He had seen the commercial. He needed to look again. It said that they were soaring into the kids’ meals. Dude … parent failure. My heart felt heavy. The dude reached behind the counter for something else … some kind of connect-the-puzzle-pieces-transform-this-into-anything kind of toy. My son looked at it bowed his head and slowly walked to the booth where he slumped down in the chair and waited for my arrival. The guy behind the counter said they hadn’t had any of those in weeks and doubted that any other Wendy’s would have it either. I told him seeing how he was gainfully employed by Wendy’s he should use his connections to stop showing the commercial. I looked back at my son … sigh.